Very small quantities of gold can be found in several locations in Oklahoma. 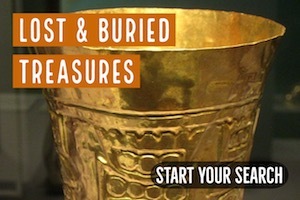 There are two main locations where gold is found in the state. The Ouachita Mountains near Arkansas has stories of gold being discovered, and the Wichita Mountains in southwestern Oklahoma. Ouachita Mountains gold in southeastern Oklahoma is quite limited. And any gold appears occurrences are going to be extremely fine textured. The headwaters of the Red River tributary, Kiamichi River near the Arkansas border have reports of fine gold being found. Discoveries are quite limited and always very fine textured. Some reports say that the Wichita Mountains in southwestern Oklahoma have gold in some of the streams and rivers. It was reported that Spaniards prospected here many hundreds of years ago, but the exact location of these mines is unknown. Some believe that it is in the Soldier’s Peak area. 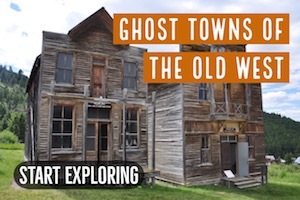 In 1895, there was a very quick gold rush to Oklahoma, but most believe that it was solely based on speculation and shysters who were trying to make money from investors and miners who came to the area. 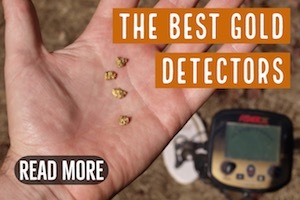 It is very likely that early reports of considerable gold discoveries were completely fabricated, as the past hundred years have not resulted in any significant gold finds in the state. Certainly small amounts of gold were present in certain parts and counties of southwest Oklahoma, but not enough to support any mining operations. 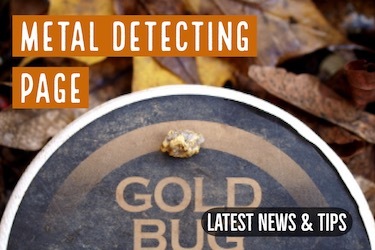 There are reports of gold being found in western Comanche County. Specifically East and West Cache creeks have placer gold deposits. There are also reports of gold in the Red River. At the headwaters area of Otter Creek in Jackson County, there were reports about occurrences of placer gold as well. There are some old placer diggings on Middle Otter Creek in Kiowa County near the town of Roosevelt. The amount of gold recovered from this operation is likely small, but there is still gold here. One consistence to the gold found in Oklahoma is that it is extremely fine textured. 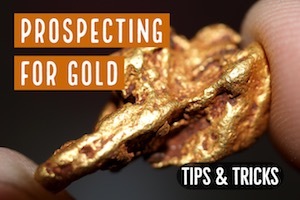 You will need to use good prospecting technique to capture and recover these fine gold deposits. Commercial mining for gold has never taken place in Oklahoma. 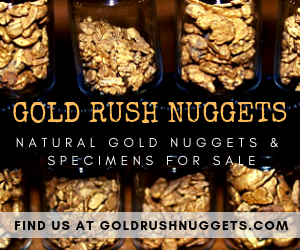 There is simply not enough gold here to pay the high costs of operating a gold claim, but many prospectors in Oklahoma still enjoy spending the weekends searching for a bit of “color”. There is undoubtedly fine gold occurrences in many creeks and rivers that have never been documented due to their limited quantity.